Arthur Danto's work has always affirmed a deep relationship between philosophy and art. These essays explore this relationship through a number of concrete cases in which either artists are driven by philosophical agendas or their art is seen as solving philosophical problems in visual terms. The essays cover a varied terrain, with subjects including Giotto's use of olfactory data in The Raising of Lazarus; chairs in art and chairs as art; Mel Bochner's Wittgenstein drawings; the work of Robert Motherwell, Andy Warhol, and Robert Irwin; Louis Kahn as "Archai-Tekt"; and visual truth in film. Also featured are a meditation on the battle of Gettysburg; and a celebration of the Japanese artist Shiko Munakata, an essay that is partly autobiographical. Arthur C. Danto is one of the most original and multitalented philosophers writing today, a thinker whose interests traverse the boundaries of traditional understandings of philosophy. 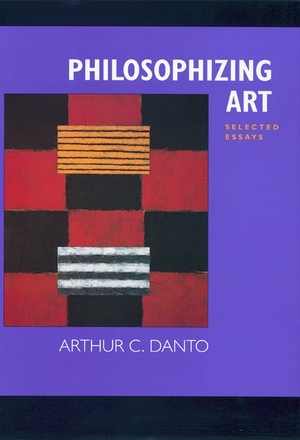 Best known for his contributions to the philosophy of art and aesthetics, Danto is also esteemed for his work in the history of philosophy, the philosophy of history, philosophical psychology, and action theory. These two volumes, each with an introduction by the author, contain essays spanning more than twenty-five years that have been selected to highlight the inseparability of philosophy and art in Danto's work. Together they present the thinking of Arthur C. Danto at his very best. Arthur C. Danto is Johnsonian Professor of Philosophy Emeritus at Columbia University. He is art critic for The Nation and the author of more than twenty books, including Playing with the Edge: The Photographic Achievement of Robert Mapplethorpe (California, 1996), Encounters and Reflections: Art in the Historical Present (California, 1995), and, now in paperback, Beyond the Brillo Box: The Visual Arts in Post-Historical Perspective (California, 1998).